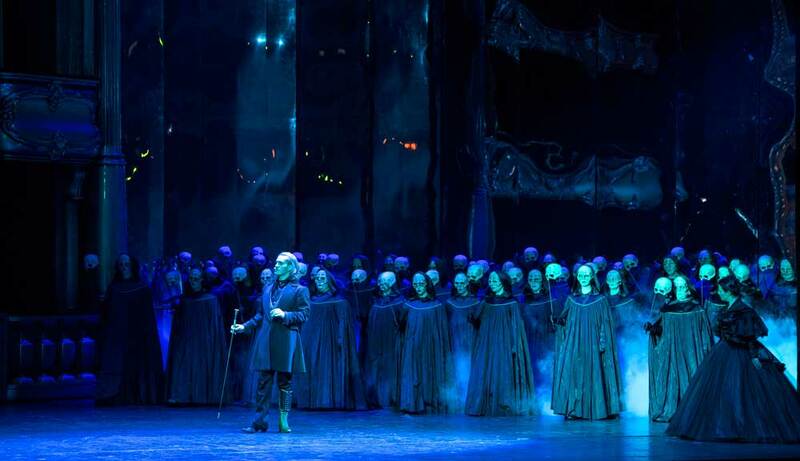 Verdi’s opera Les Vêpres Siciliennes will be broadcast live from the Royal Opera House in London in High Resolution in cinemas on Monday, November 4, 2013. 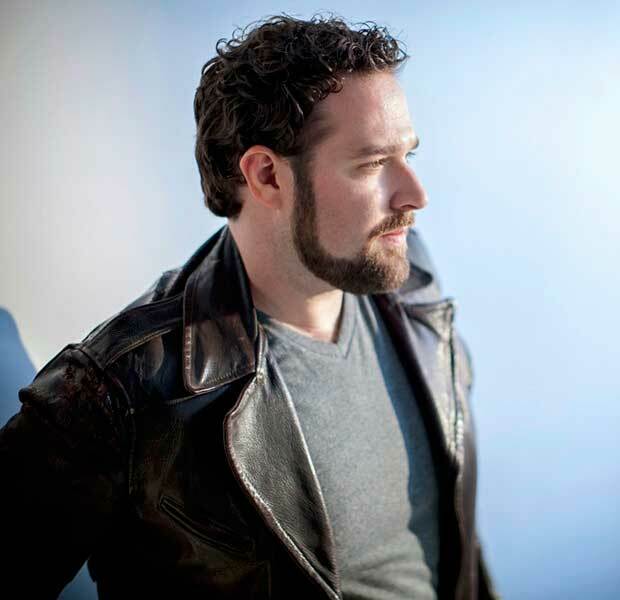 Bryan Hymel will perform the role of Henri. At his side, Lianna Haroutounian (Duchesse Hélène), Erwin Schrott (Jean de Procida), Michael Volle (Guy de Montfort) and Michelle Daly (Ninetta) in the lead roles, will form a superb cast under the baton of Antonio Pappano. With the Sicilian Vespers sung in French, the director Stefan Herheim debuts at Covent Garden. 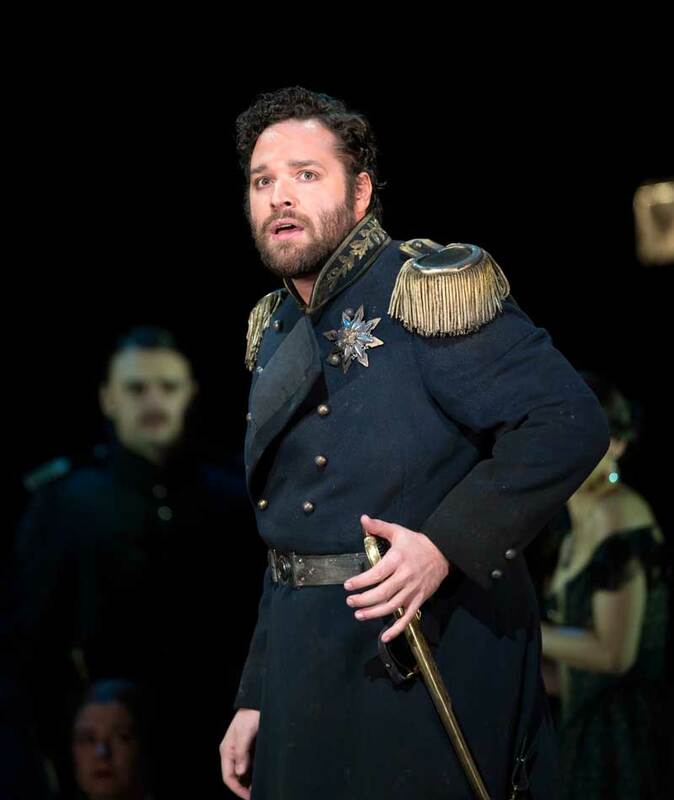 Tutti-magazine : Yesterday was your fourth performance of Verdi's Les Vêpres Siciliennes on the stage of the Royal Opera House. What are your feelings about this production? Bryan Hymel : I really like this production. The director, Stefan Herheim, has taken some liberties with things that are not written in the score and they not necessarily follow what most people would expect to see if they are lucky enough to have seen Les Vêpres Siciliennes before. I think it’s really beautiful visually both for the set and the costumes and the way that the ballet is done is really interesting. We don’t do the ballet only in act 3. But the dancers are within the show all along, helping to tell the story. For example, one of the dancers is my mother and, like in most French grand operas I have to sing about her and to her and ask for her help. In this show she is an actual character which helps understand the plot. In act 3 she comes and torments Montfort with the rest of the dancers and pressures me to agree that he is my father and to call him that. It is very interesting in that way. Is this the first production of Les Vêpres Siciliennes you sing in? Yes it is. I had seen it in Italian in Athens, Greece, but it was more a kind of traditional production where you had the Sicilians and you had the French and the ballerinas only in act 3 and then they were gone. It was fine but I think this production helps to tell the story a little bit better. This is the first opera staged by Stefan Herheim at Covent Garden. Can you tell us about his own way of directing singers during the rehearsals? I think Stefan is a great stage director. He concentrates on the relationship between the characters so that you play not only the actual words that you say to each other, but you also play the emotion. For example, with Montfort, I don’t know that he is my father but I find out half way through. Of course we play the words that are said but there is such subtext under that it shows underlying emotions. The decision to kill him or to go along with Hélène and Procida would not be a very hard decision because Montfort is a monster in the way he treated everybody. But, if you think that as a boy I had always wanted to have a father to look up to, then you understand why it’s a difficult decision for me to make. Why would he betray either the woman he is in love with or the cause he has lived his life for to save a monster. It does not make any sense that he would throw himself in front of the dagger. This is only one example of where Stefan has taken what we have in the score which seems kind of simple and perhaps incroyable just not believable. But, if you think of those other aspects of the character’s psychic and emotional state then you get into it more. I think that’s what makes this production very special. You sing under the baton of Antonio Pappano. What kind of Maestro is he for the singers? I think he is wonderful, supportive. He is smiling, breathing with you, which all the maestros and directors are like that! Usually they are a little more reserved and stoic. He is very warm and he loves to explain what he wants you to do. He does not just tell you what to do but he says « I think we should do it this way because of this… » and the words flow. He explains why he wants it to be a specific way and it makes you want to understand why it did not quite feel right before. And you completely understand once he has explained it to you. He is great to work with and I am glad to be able to work a lot with him in the future. 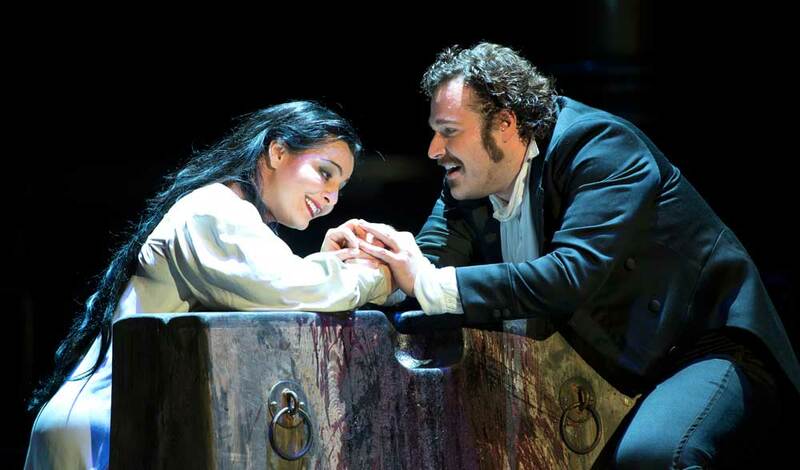 As in Les Troyens, Carmen and soon to come, Hoffmann, you sing the role of Henri/Arrigo in French. In what way are you linked to the French repertoire? My father’s family is of acadian descent and there is definitively French blood in that side. It’s also the way my voice works that has led me to this music. It is not like we had been searching for it. We just of kind found each other. It is the way my voice lies and because the top notes are as difficult for me as they are for other voice types. It led me there. 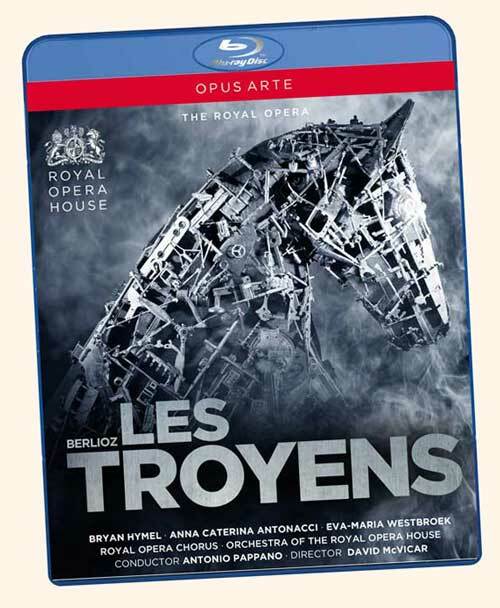 The first time I was offered Les Troyens in Amsterdam I was singing I Puritani which is an even higher role. So I thought I could do it and when people heard me sing it many offers came for more and more French stuff. Guillaume Tell is going to be very hard. I was just looking at it yesterday, it is somewhere between Robert le Diable and this. A little bit higher than this is but not as dramatic. It is going to be tricky! I am glad I have a couple of months before we start on this in Munich at the end of June and July 2014. Carmen does not fall in that category. It is lower, more dramatic French repertoire. There are many other French pieces I have not done yet that I would love to sing. Like Auber and some of those other French role that are just not done. Guillaume Tell is going to be very hard. I was just looking at it yesterday, it is somewhere between Robert le Diable and this. A little bit higher than this is but not as dramatic. It is going to be tricky! I am glad I have some time on my hands before we start on this in Munich at the end of June and July 2014. 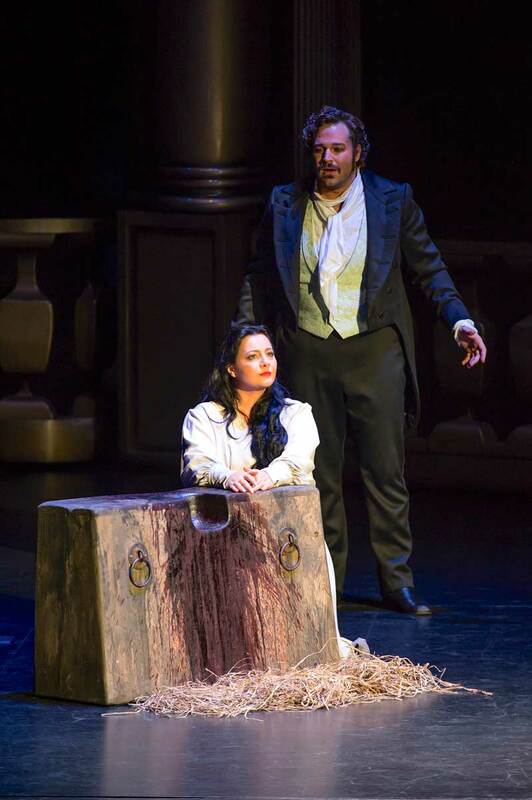 You will sing Les Contes d'Hoffmann at the Opernhaus Zürich in March 2014. 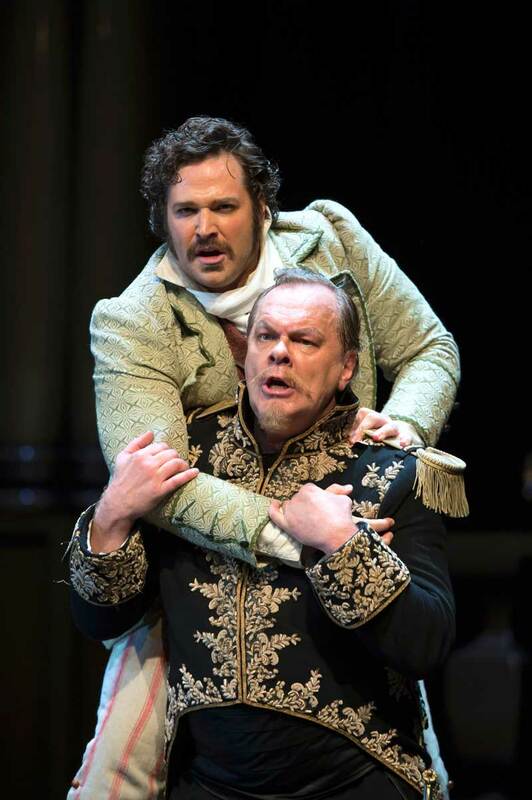 The role of Hoffmann is seen as one of the most demanding tenor roles? How do you prepare for this important step? After the other French roles that I have sung, I can tell you Hoffmann is not as hard. It is not easy, but not as difficult and high as Henri in Les Vêpres or Arnold Melchtal in Guillaume Tell. So, for me the challenges are not the same as a standard lyric tenor would have to worry for that. You see, there is only one optional high C in Les Contes d’Hoffmann whereas I don’t know how many high Cs I sing in this show and certainly in Guillaume Tell, not to mention Ds flat as well... Guillaume Tell will be the next really wonderful step. It is such a great piece and it is the first opera role in which a tenor sang a high C in full chest. When Gilbert Duprez did this around 1830, people said he was screaming. It is indeed what led to the Italian tradition of singing all of your notes above the A in full chest. 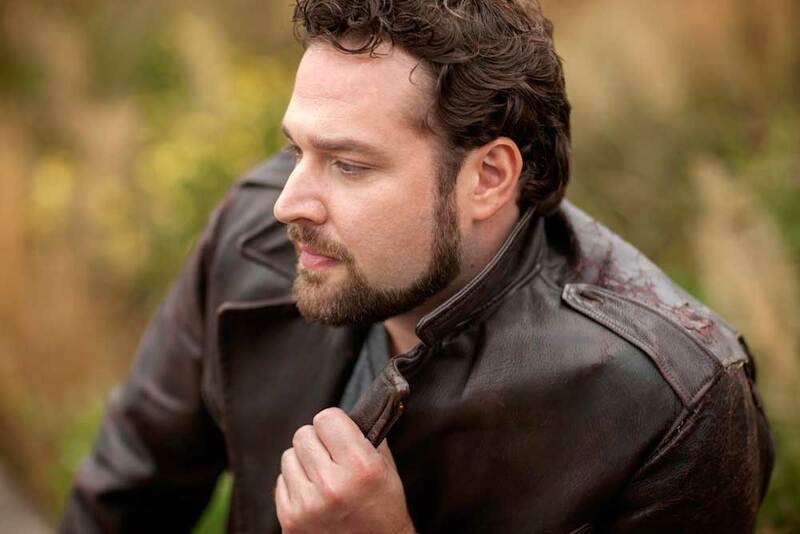 However, without Duprez and the courage it took for him to go out and do this it would have taken much longer for us to get where we are with the modern tenor singing. So I am very much looking forward to singing that piece. So, in fact, I kind of look at Hoffmann as one of my easier roles... I should not say that as I have not completely finished learning it yet, but my initial study has brought some kind of a relief. 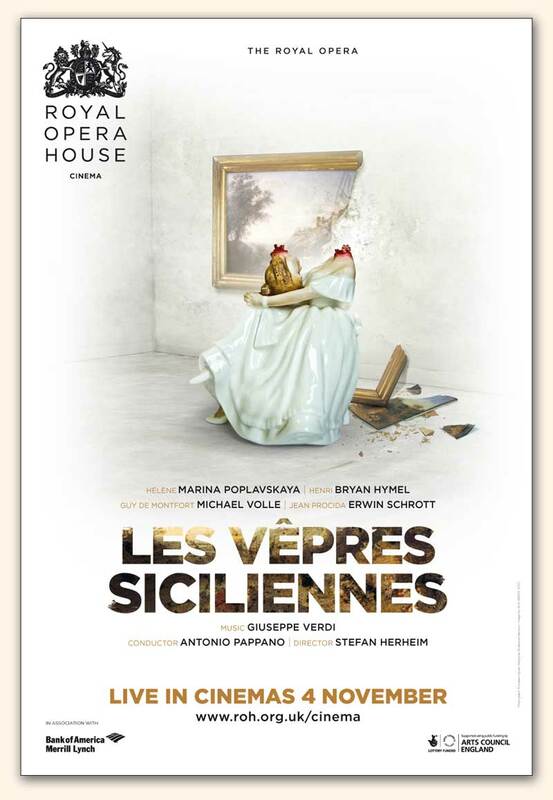 On November 4th, Les Vêpres Siciliennes will be broadcast in theatres worldwide. You already experimented this situation a lot of times. Does it create more stress for you? Yes it does, because as many people are going to watch you, you want to put on one of the better shows. For any singer, how nervous you get is directly proportional to how healthy and how strong you feel on that day. There is no substitute for rest and sleep. As they are also taping it for the DVD on the same show it triples the nerves because it’s going to be on DVD for ever… There is not much chance to edit it. So for the most part it is going to be that show. So you rest and prepare as well as you can for the performance. It seems this production experienced a few problems? We have been working almost three months on the show. And things have been a little tricky considering that we have had three different sopranos to work with and try and get them up to speed and teach them the show and to find ways to work a little bit differently than we had worked with the other sopranos. But, you know, that’s all part of life and part of our job in the theatre. I just hope that it turns up well because we spent seven weeks rehearsing with one soprano and one week before the opening of the show we had to do the whole thing again with another soprano and that was not easy for anybody. Especially for me because I am the only one who has duets with just she and I. Other singers have arias with the chorus or trios or quartets with the singers they have rehearsed from the beginning. For the first three shows I had a different soprano every night. I did not quite know what to expect when I started the performance. But we made it work and it ended up going much better than I would have expected considering what happened. It was kind of an exciting roller coaster! Do you act differently in front of the cameras? JI don’t think so. We don’t try to act any more or less than we normally do. 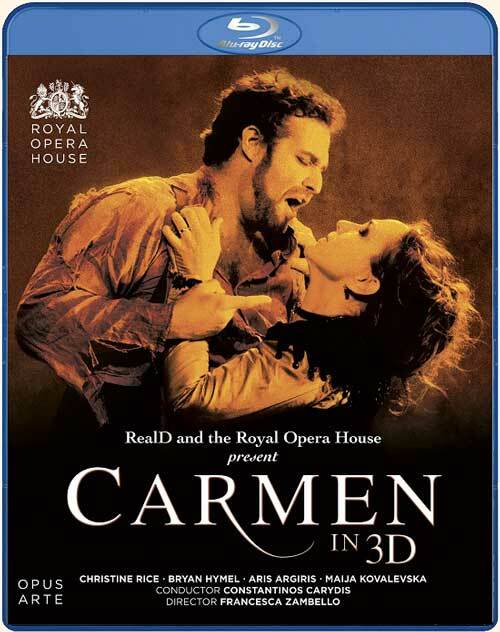 When I did the Carmen 3D we did change things for that because we had 3D cameras on stage with us and someone operating them. 3D cameras are a little bit different as they are bigger and they have to be very close to the subject that they are recording. That took some time getting used. As well, we had to adjust our gestures and make them smaller so that they would not look kind of ridiculous. For this show, I think we keep things pretty similar to a regular show because the cameras are in the house and they just zoom in very closely but not so close as to make it look artificial. If you had the opportunity to address the French public who will come and see you on screen, what would you like to say to them? I would thank them first for their heritage giving us such great music, especially for me to sing as I have found my home within the French repertoire. For example Berlioz of whom I sang La Damnation de Faust at Pleyel last season. And I hope that they enjoy the work that I do, trying to keep alive and hopefully making a recording of French Grand Opera as an homage to the legacy of French music which I think is under appreciated by audiences. I hope they will accept my attempts to bring this music back and do it justice. I am really, right now, working with some friends who support my love for French music on trying to get a recording, with orchestra, of arias from French Grand Operas. Of course it would include arias from Robert le Diable, Les Vêpres, Les Troyens and Guillaume Tell of course. We are in touch with a recording company about that and I hope that it comes up because after Georges Thill who recorded it over sixty years ago there is no modern recording of this music. I am not native French speaker but every day I work on it more and more and I have a number of French coaches who work with me. We talk about the language and the style, the way french music works, the chromaticism, the way the language can float in between the beats. It’s like the way that Chopin fits those notes all in. It is done with such grace that you don’t even realize how many notes were fit in there. That is what would make French music, French music. That grace and that kind of suave way of moving between the beats is very much the French way of life! It’s the same way in the wine, in the cuisine. Between the big points there is that wonderful breathe that is flowing through there. I love France. I think you can understand that from the way I am speaking of it. I sang both Tosca and La Damnation de Faust in Bordeaux years ago. Between performances my wife and I spent some time in Saint Emilion and stayed in a Château one night. We had a lovely time there. If we can speak French better and better, perhaps we’ll end there one day. May be with a summer house where we can have studies for students to work on French music like Chausson, the Grand opera and all of that to promote it. The Italian are so strong in their own music and the German the same. I feel there is no one to fight for the French! I’m honoured to be part of it. After your debuts at the Salle Pleyel last year, we hope to see you soon on a Parisian Stage. I think I do have some things coming, not next season but the season after in France and in Paris. I’m very much excited about that and if anything comes up sooner I would always come to Paris at a moment’s notice!